Help Us Welcome Our NEWEST Board Members – Alan Stein and Mary Ann Downing! 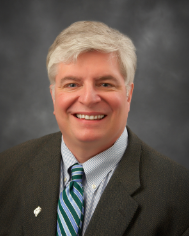 Alan moved to Cherry Hill from New York in 1977 and started his Rotary career at Garden State Rotary Club of Cherry Hill in 1995 and filled many positions. Alan and his wife Ilean, also a member, transferred to the Voorhees Breakfast Club in 2009. 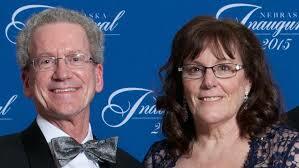 Alan and Ilean were principals of Stein Associates, a Sales and Marketing Company in the Home Fashion industry. Alan has been in his own company for more than 29 years. 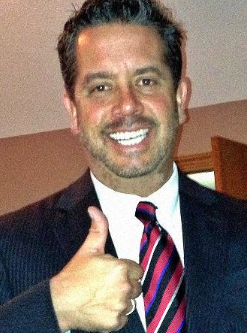 In 2010 Alan started a new career as an Independent Insurance Agent licensed in New Jersey & Pennsylvania. In 2013 he became contracted, certified and appointed by many carriers in the Medicare field. He Educates, Counsels and Enrolls eligible beneficiaries in Medicare. He has been very active in the community ie on the Board of Directors of the Cherry Hill Regional Chamber of Commerce and Chairman of the Board in 1999. He was a Trustee of the Camden County Workforce Investment Board for twelve years. He served on the board of the Camden County Literacy Volunteers of America for six years. The Delaware Valley Stroke Council honored Alan and Ilean as Volunteers of the Year in 2004, where they both served on the Board. Alan graduated from the Leadership Institute On Workforce Development Class of 1995 sponsored by the National Alliance of Business and the New Jersey State Employment & Training Commission. 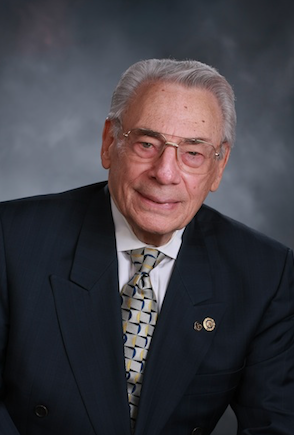 In 1996-1997 Alan was named the New Jersey Business Person of the Year by the Phi Beta Lambda Chapter of the FBLA – Future Business Leaders of America. May 7, 1999, Alan was named Rotarian of the year by his club and received a proclamation from then Mayor, Susan Bass Levin. Alan has been a board member for most of his years in Rotary and has filled many positions including Vocational Chair and Foundation Chair. He has presented for the past 18 years at Career Night at RYLA. He is a graduate of the RI Leadership Institute and completed the Post Graduate Course in 2002. He now serves as a Facilitator and Regional Vice-Chair 2014-2017. He served on the District Conference committee in 2007-2008, the District Youth Exchange Committee to the present and the District Finance Committee. He was club president in Governor Joszef’s year 2007-2008. He also served on the 2009-2010 District Conference, Mid-Atlantic PETS and Vocational Assembly Committees. In 2009-2010 he chaired the District’s Foundation Annual Giving and the Hands Across the District project. He was the 2010 Treasurer of the NJ Vocational Assembly. December of 2011, Governor Alan was honored at the Rutgers University/LEAP Academy Scholarship Fundraising Gala, receiving the Rutgers/LEAP Leadership Award. Past District Governor Alan is presently the District International Service Chair, 2013-2016, was District RLI Chair, RLI Site Chair 2012-2014. Alan & Ilean are also multiple Paul Harris Fellows and Ilean was also an Assistant Governor for three years. They have been married 42 years with 5 children, 8 grandchildren and “Giorgio Armani” their 5 year old Silky Terrier. 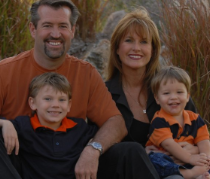 Mary Ann Downing is a San Diego mom passionate about drowning prevention and water safety. She’s the “pool safety mom” at many local water safety events. 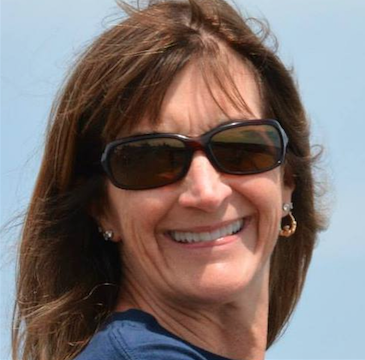 She was a Board Member of the National Drowning Prevention Alliance (www.ndpa.org) for 6 years, and is currently the Co-Chair of the Drowning Prevention Task Force of Safe Kids San Diego. She’s a member of the San Diego County Aquatic Council. Mary graduated from Indiana University of Pennsylvania with a degree in Health and Physical Education with an emphasis in aquatics. She spent time as an Aquatics Director for the Y (YMCA), and later started a business called Pool Safety Solutions- bringing pool safety equipment and services to over 1300 pool-owning parents-in their own backyards. Volunteering her time and energy, Mary has presented at national and local events on drowning prevention and water safety. She was named the 2014 Drowning Prevention Advocate of the year by the Joshua Collingsworth Memorial Foundation for the “Water Safety Buddy Book Project”. She was instrumental (and had the most fun ever) in developing the award winning “Swim with a Navy SEAL” water safety project. 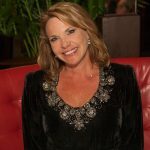 Lisa J. Nichols BSN, RN, CCRN, CPST is the Trauma Program Manager at Dell Children’s in Austin, Texas. Previously she served as the Trauma Program Manager at Children’s Hospital & Medical Center in Omaha, Nebraska. Lisa has worked as the Trauma Program Manager for the past 7 years. In this role, Lisa developed the trauma program at Children’s toward the goal of becoming a verified level 2 pediatric trauma center—a goal which the hospital achieved in 2012. In this role, Lisa has helped to develop the injury prevention program. This program is dedicated to decreasing injuries to children as identified by Children’s trauma registry. Prior to this role, Lisa had worked for over 20 years as a staff nurse and nursing supervisor caring for children in Pediatric Intensive Care Units and Emergency Departments at Children’s as well as other hospitals around the country as a travelling nurse. Lisa holds a Bachelor of Science in nursing degree from the University of Iowa. She is also certified as a critical care nurse and child passenger safety technician. Lisa is involved in many different local/state/regional/national committees as they relate to pediatric trauma. Lisa has extensive experience in educating health care providers about the care of pediatrics. She helped develop a pediatrics education course for critical access hospitals and EMS providers in Nebraska. Of note, she lectured for the national Society of Trauma Nurses pediatric pre-conference in 2013 and 2014 and also served as the key note speaker for the St. Louis Children’s Trauma Symposium in 2014. Lisa was given the “Hero of Nursing for Community Service” award in 2011. 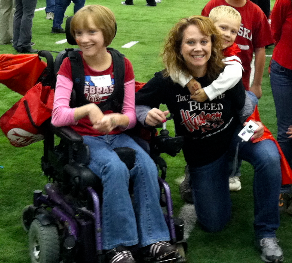 In 2014, Lisa was named Nebraska March of Dimes Nurse of the Year for Mentoring and Leadership. Mario is a leading expert on immersion hypothermia, drowning, sea survival, and safety at sea. His writing has appeared in Yachting Magazine, SaltWater Sportsman, MotorBoating Magazine, Lifelines, On-Scene, and Reader’s Digest. He has developed courses for municipal rescue teams and the military on search and rescue tactics and open ocean survival. In 2007, he was named as the Coast Guard Active Duty Enlisted Person of the Year and was named as the 2009 recipient of the Alex Haley Award for Journalism. Mario is now the CEO of VLinc Corporation where he oversees the development of maritime safety and security training products, helping mariners come home safely from their work at sea. Mario lives with his wife and children in Florida. Joshua’s Father and Founder of Joshua’s Foundation. He is an owner of Cameron Townhomes, based out of Lincoln, Nebraska and an active member of the Lincoln community. Joshua’s Mother & Founder of Joshua’s Foundation. She is also the mother of Connor Collingsworth, and an active Lincoln community volunteer. Kerry Miller is Joshua’s aunt. Kerry is retired from medical sales and lives Atlanta, Georgia. In addition to her work with JCMF she volunteers for Make-A-Wish Georgia and is a member of the W.I.S.H. Society. Randy is Joshua’s Uncle and is the Treasurer & Vice President of Finance at Novelis, the world’s largest producer of flat rolled aluminum and the world’s largest aluminum recycler, based out of Atlanta, Georgia. Nicole is a Respiratory Therapist for over fifteen years and currently works full time at the Department of Veterans Affairs – NWIHCS. She is also a certified BLS instructor through the American Heart Association, serves on the parent advisory panel for Miss Amazing Inc., and has been an outstanding Volunteer Coordinator for JCMF since the very beginning. She is a busy mother of three and one of Joshua’s aunts. Nicole manages over 100 volunteers locally and coordinates numerous Josh the Otter volunteer events with grace and patience! 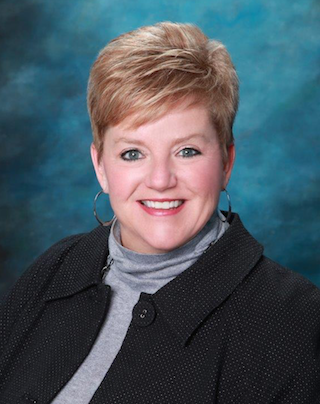 Mary Ann is the newest member of the JCMF Board of Directors. 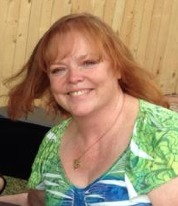 She is Joshua’s aunt and currently resides in Oklahoma City, OK working for the Dept. of Transportation. 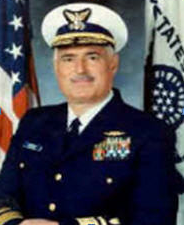 Jim is a Retired Rear Admiral of the United States Coast Guard. He has been the driving force behind the Rotary international “Josh the Otter Water Safety and Literacy Project” expansion across the country. Dr. Truemper is one of the head Pediatric Intensivists at Children’s Hospital in Omaha, Nebraska. He was Joshua’s Primary Physician at Children’s Hospital and has been a devout advocate for drowning prevention throughout his entire life. 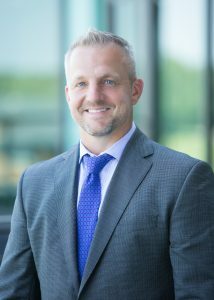 Greg Dorff is the General Sales Manager of Lexus of Lincoln and an avid supporter of the Joshua Collingsworth Memorial Foundation. Father to two young girls, Greg has brought the Josh the Otter program to their schools to teach the life-saving message of water safety to their classrooms and schools. He has even been in the Josh the Otter mascot suit! Greg Dorff has been paramount in securing $5,000.00 Lexus of Lincoln sponsorships each year for the foundation’s annual benefit dinner and auction, among providing other helpful sponsorships throughout the year. We are EXCITED and HONORED to have him on Team Josh! 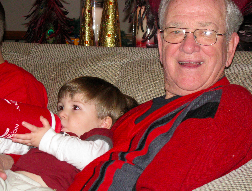 Bill is Joshua’s Grandfather and Kathy’s Father. He currently owns and operates Adventure Travel, which has been in existence since 1971. Starting in 2013, Bill will become the foundation’s first Board of Trustees Member. We are grateful for his continued service to JCMF! Ilean and her husband Alan moved from New York City to Cherry Hill, New Jersey in 1977. In 1980 she joined Alan in Stein Associates, a Sales and Marketing Company in the Home Textile Industry until 2009. At the 2010 Rotary Convention in New Orleans we met Kathy and Blake Collingsworth and learned about Josh the Otter Program. During his year as District Governor Josh the Otter became a District Project and still is. District Literacy Chair. In 2014 she became District Secretary and Board Member of the Rotary Youth Exchange and Secretary for her club, Voorhees Breakfast Rotary Club..
Ilean was an Assistant Governor from 2009 to 2011 and as of July 1, 2011 became District 7640 First Lady when Alan became District Governor. On July 1, 2012 she resumed being an Assistant Governor for District Governor John Andrews year. Ilean attended the Zone Institute & Leadership forums in Niagara Falls in 2009, London Ontario, Canada in November of 2010, and Boston, Massachusetts in 2011. As spouse of the Governor she attended the 2011 International Assembly in San Diego, the International Convention in New Orleans, and has visited many of the Clubs in District 7640. 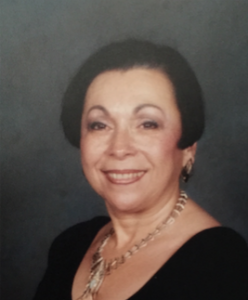 On a personal note, Ilean was an active member of the Cherry Hill Regional Chamber of Commerce, a volunteer for the American Cancer Society and Board Member of the Delaware Valley Stroke Council. In 2004 along with Alan was selected as “Volunteers of the Year” at their Stars for Stroke Gala. Ilean has been married to PDG Alan for 42 years. They have 5 children, 8 grandchildren, and Giorgio Armani their Silky Terrier. As the lead advisor for the McEwen Group, Tim focuses exclusively on the personal and financial needs of our clients. 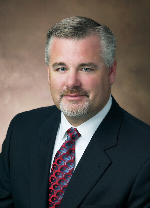 His expertise includes investment strategy, risk management, portfolio implementation and institutional consulting. As a CFP®, he customizes investment and financial planning strategies designed to help you pursue your family’s needs and goals. 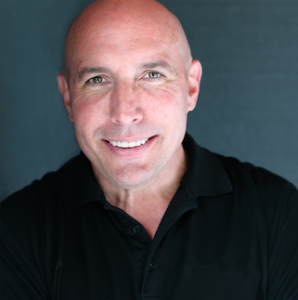 Tim strives to earn your trust through hard work, appropriate advice and a dedication to developing a long-term relationship. It is with deep sadness that we announce the untimely passing of long-standing Board member and our friend, Dave Steier, and his wife, Arlene Steier. Both have been active advocates and ambassadors of the Joshua Collingsworth Memorial Foundation and have given countless hours of their time to our organization. The loss of Dave and Arlene is tremendous and our hearts are hurting. We will always be grateful for the time we had with them and all of their dedication, support and love for our Foundation.